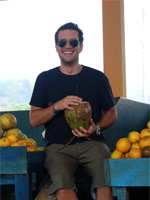 Prior to starting his PhD Rodrigo was active in projects covering issues of governance, conflict resolution and natural resources management. He has over six years of experience in international development; working as a researcher for the Human Development Report office and the Political Analysis and Prospective Scenarios Project of the United Nations Development Programme in La Paz, Bolivia. He was also a consultant for the Socio Environmental Institute, the private industry and participate in the summer employment programme of the Inter-American Development Bank. Rodrigo has an MPhil in Environment, Society and Development from the University of Cambridge funded by the Chevening - BG - Cambridge Scholarship, and an MSc in Economic Development from the Development Research Centre CIDES - UMSA. Prior to this he completed a double Maîtrise (4 years French degree) in Political Science and Economic and Social Administration from the University of Toulouse Arsenal in France. He is fluent in Spanish, French and English. Rodrigo's doctoral research is funded by CONACYT. His thesis revisits the resource curse theory from the political ecology approach. It includes the ecological and human dimensions into a view mostly theorized from an economical perspective, and examines how certified forestry contributes to reduce an economy's vulnerability to the staple trap. By unveiling the socio-economic linkages generated by certified forest operations, the research intends to shift the focus of attention towards the human development impacts of forest certification, and the possibilities of escaping the staple trap by maximizing the sustainable growth of the tradable sector in the Amazon. Based on a political ecology approach, his thesis reveals the limitations of the primary commodity based development pattern, supporting the consolidation of an alternative one, grounded on multiple and more flexible economic activities. Therefore, he aims to discuss the importance of diversifying the certified renewable extractive industry by stimulating the linkages between sustainable forestry and payment for ecosystem services mechanisms. 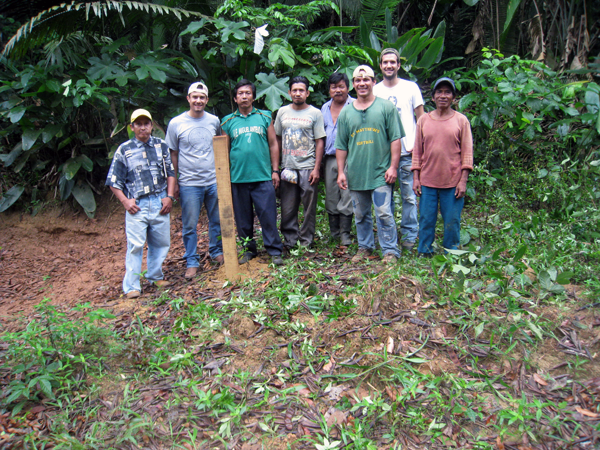 Rodrigo and colleagues in the field. 2009 - Zafreros in the Bolivian Amazon: Actors in an uncertainty zone, assessing the effects of uncertainty over land use conversion and forest conservation. University of Cambridge. MPhil Thesis. Cambridge, UK. 2008 - The other frontier: alternative uses of natural resources. Human Development Report. Junior Researcher. UNDP. La Paz, Bolivia. 2007 - The state of Bolivian opinion. Human Development Survey. Main Researcher. UNDP. La Paz, Bolivia. 2007 - The state of the State. National Human Development Report. Junior Researcher. UNDP. La Paz, Bolivia. Evaluated as one of the Best three National Human Reports in the World by UNDP's Central Office in New York. 2007 - El Laberinto. TV discussion show produced by the Human Development Report Office. Survey Analyst. UNDP. La Paz, Bolivia. 2007 - Indigenous peoples in Bolivia from exclusion to power. Centre for Research on Inequality, Human Security and Ethnicity, University of Oxford, UK. 2006 - National police and security. Human Development Survey. Main Researcher. UNDP. La Paz, Bolivia. 2005 - Bolivian northern Amazon basin bio-trade diagnosis. Consultant. Socio-Environmental Institute. La Paz, Bolivia. "Un Abrazo de Solidaridad." La Prensa, La Paz, October 25, 2000. "Democracia a Caballo o Democracia en Minusvalía." La Prensa, La Paz, January 23, 2003. "Democracia en Minusvalía o Democracia Moribunda." La Prensa, La Paz, February 26, 2003. "Constituyendo la Constituyente." La Prensa, Los Tiempos, Bolivia, August 11, 2004. "Trifulcas paralizantes e ingeniería política." La Prensa, Los Tiempos, Bolivia, August 31, 2004. "Resucitando la Política." La Prensa, Los Tiempos, Bolivia, October 18, 2004. "Constituyamos Gobernabilidad." La Prensa, Los Tiempos, Bolivia, January 13, 2005.